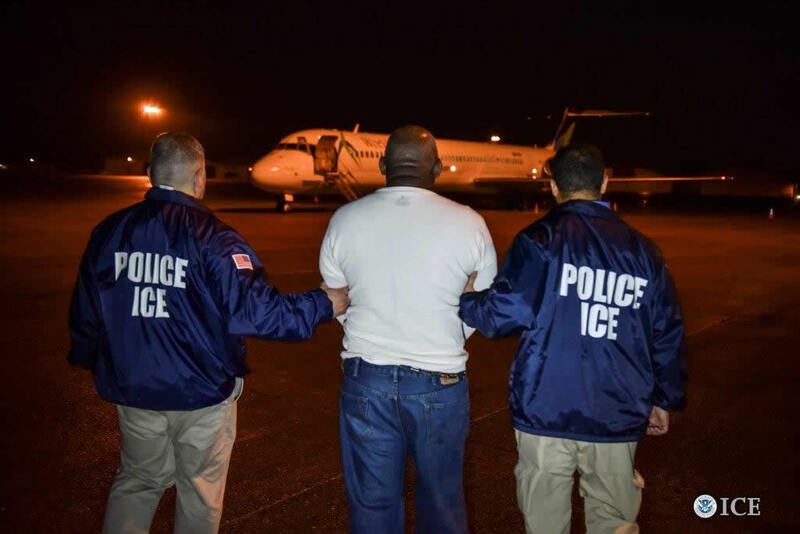 The New York Times is reporting that U.S. Immigration and Customs Enforcement aka ICE has made over 600 arrests last week of illegal immigrants across the Untied States. The article goes on to state that there were many false rumors floating around social media. Most of those who circulating rumors are looking to sensationalize the story and cause mass panic and fear in hopes that some how they will be able to change policies and laws. The article from the NYT is very misleading in the way that it is presented. 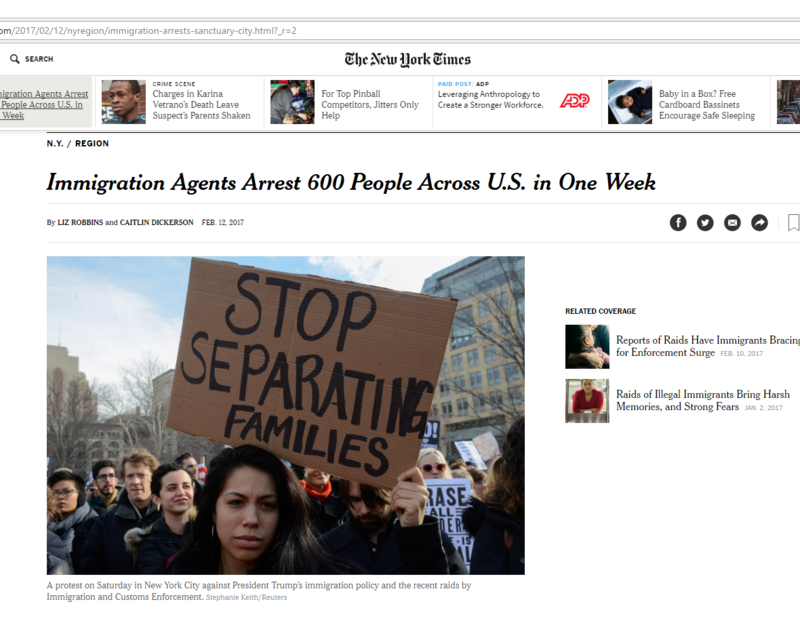 The article features a picture of a woman holding a sign that says “Stop Separating Families,” while the article is titled “Immigration Agents Arrest 600 People Across U.S. in One Week.” The NYT is trying to mislead people into thinking that the big bad Trump administration is going door-to-door and arresting ordinary people.